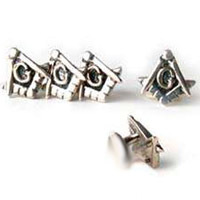 Sterling Silver Shirt Studs for your Tuxedo. 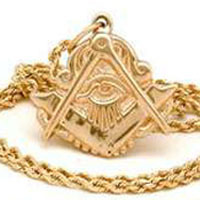 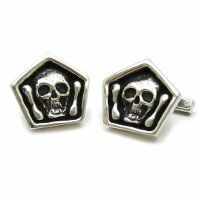 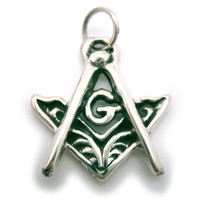 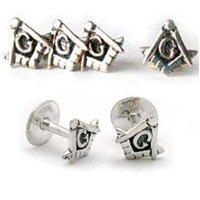 Square and Compass, with the "G"
Sterling silver shirt studs for your Tuxedo, in a set of four. 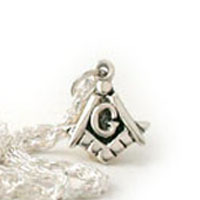 Simply designed as one piece, never to break, weighted towards the bottom to prevent spinning in the button hole. 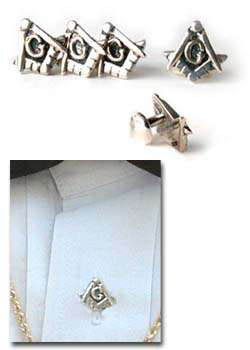 Accompanied by a lifetime guarantee, a genuine velvet gift box, and our usual explanatory printed inserts.